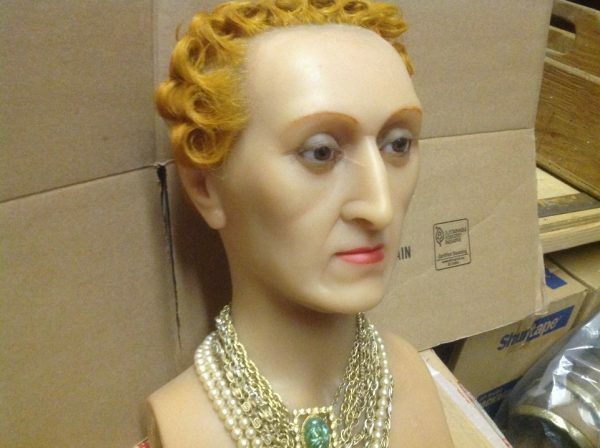 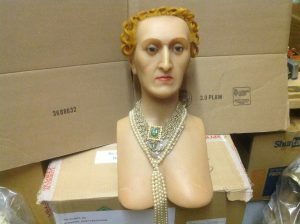 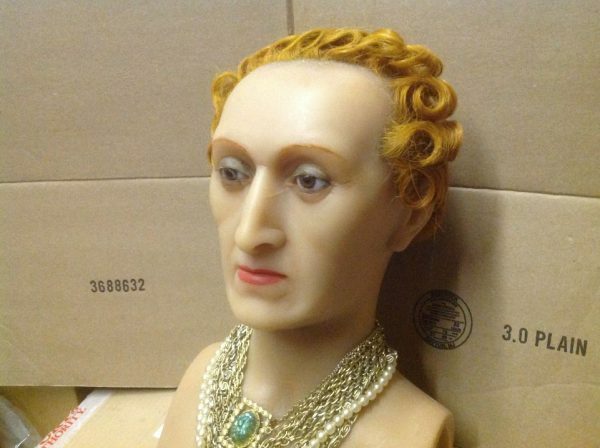 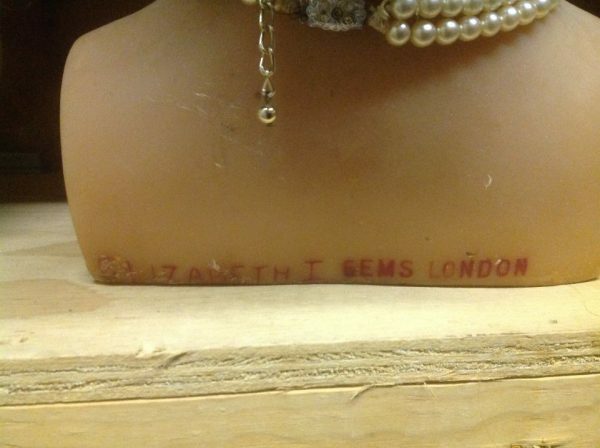 Vintage wax museum Queen Elizabeth I head in as found condition. Queenie is marked Gems, London. 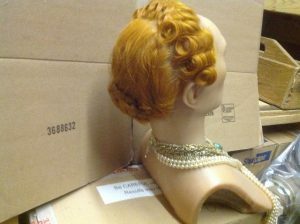 Beautiful face and styling………..